VIDEO-on-Demand Class with downloadable recordings. The Various star races of Arcturian, Pleiadian, Andromedan, Sirian and more. Your Higher Self Gifts – where they come from and how to access them. Val will lead the discussion with her intuitive interaction with you to assist in the identification of your own Star Root Race and Galactic Heritage. 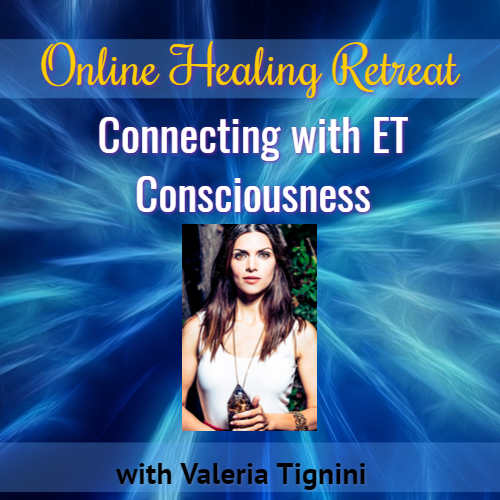 She’ll also lead you on a guided Meditation and Activation in this 2-hour journey to Connect with ET Consciousness. I am a vessel for source energy which I am able to consciously transmit and share. The energy chooses who will partake in it as well as when and where. While, source energy is always everywhere at all times, it arises as different frequencies within space and time. The sessions I hold introduce frequencies to you in such a way that you experience them directly in a profound and transformative way which is different for everyone. I have also acquired High Priestess abilities to work with divine multidimensional beings as an activator and protector, amongst other divine abilities.